It does indeed. The old children’s favourite may have been supplanted somewhat by the relentless march of technology, especially now that almost every kid has a mobile phone and/or access to the Internet, but there is still a lot of fun to be had there. For those reading this that don’t know, the two cans on a string game involves taking two empty (and preferably washed out) tin cans, the kind you might buy baked beans in, punching a small hole in the bottom of both cans and then threading a length of string in between each hole, tying it in a knot big enough to secure it in the can. Then, when the string is pulled tight, it is possible for one person to speak into the can and another to listen and reply. It also works with polystyrene cups, albeit to a slightly lesser extent. You’d be amazed also at the distance your voice can actually travel using this method. The science behind this game is actually very simple. The vibrations of your voice shake the bottom of the can and that, in turn, vibrates the string. Provided the string is pulled taut and isn’t touching anything, there should be no reason at all for your voice not to travel along the string to be received by your companion at the other end. If you happen to be a parent, this game can keep the kids entertained on rainy afternoons, as well as providing a useful scientific lesson for them. I have many happy childhood memories of playing this game. However, it is very important to make sure that the cans have no sharp edges around the inner rim, for older kids, a simple ‘safety brief’ will probably do, but younger kids might be safer with a little electrical or duct tape stuck around the top of the can (in each child’s favourite colour, maybe? Just a thought). It shouldn’t affect the sound too much, if at all. It’s amazing the fun you can have with a couple of old cans and a length of string. Hope that helps. Experts are presently investigating the destruction of the unmanned space rocket Antares, which exploded during its launch on Tuesday, October 28th. Official investigations began on the 29th, but no definite cause for the accident has been identified so far. Almost immediately upon leaving the launch pad at Wallops Flight Facility in Virginia, Antares became engulfed in flames and was destroyed in midair. The falling wreckage caused considerable damage to the launch pad itself. Although the cargo was lost, there were no casualties. Antares was carrying around 5,000lbs (2,200 kgs) of supplies, which were intended for the six astronauts currently occupying the International Space Station. 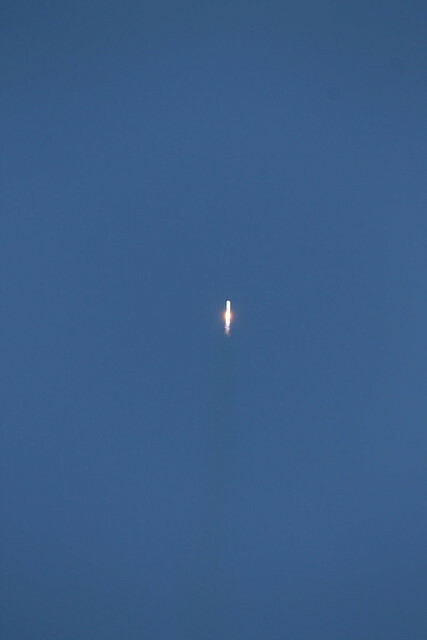 The rocket’s cargo included over 1,300lbs (600kg) of dried food, as well equipment for various scientific experiments. Despite the loss of important supplies and equipment, the astronauts aboard the ISS will still have enough provisions to continue their work. Mr. Culbertson has also urged locals not to go “souvenir hunting” along the beach, as the rocket had been carrying hazardous materials. Some business experts are now predicting that Orbital may suffer greatly in the face of harsh competition to supply the ISS. The investigation could take weeks, or even more, before analysts are satisfied that they have found the root cause of the problem. In any instance, it seems highly likely that the investigators will place considerable emphasis on the rocket’s AJ-26 engines, which were used to lift Antares from the launch pad. Earlier versions of these same engines were developed for Russia’s N1 moon missions, which came to an ignominious end after all four launch attempts failed. The second attempt, in 1969, resulted in a calamity that completely destroyed both the rocket and the launch tower. Another of these power units actually exploded during ground testing earlier this year. Whatever the cause, this malfunction is expected to set any further Antares rocket launches back for a considerable amount of time. The sound of a racing motor at full throttle is a singularly powerful noise. While changes in Formula One motors, from V8s to the turbocharged 1.6-liter V6 motors of this season, mean they generate 15,000 RPM, which is 3,000 RPM less than last year, and though the smaller engines have made them significantly quieter, they’re still loud. 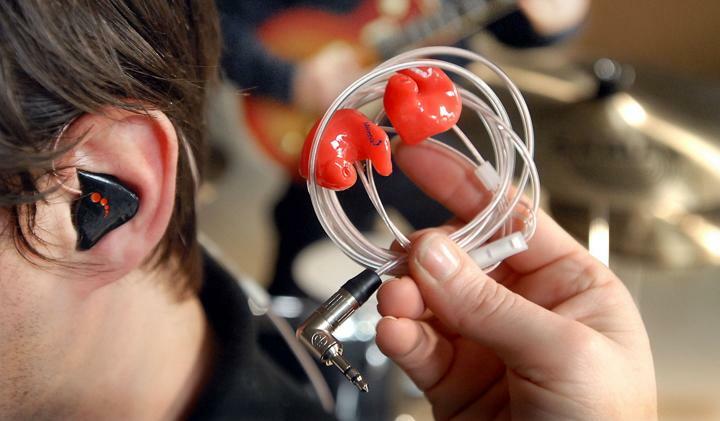 Now that scientists are warning people around the world of the dangers of prolonged exposure to high levels of noise, a Welsh company is using 3D printing to create earplugs to prevent hearing damage to everyone from musicians to Formula One mechanics. As a point of reference, you can tolerate the noise generated as you ride in a car – around 85 dB – for about 8 hours before hearing damage begins to occur. An average motorcycle generates 95 dB, and you can take about 47 minutes of that, and a loud rock concert can pound out 115 dB. While the new generation of F1 cars creates some 80 dB of sound, the old V10-based cars pumped out 130 dB. At a level of 128 dB, your hair can actually begin to detect vibration from sound, and at those levels, hearing can be altered in a matter of seconds. A very small hand grenade or bomb can create up to 210 dB. Here’s the problem: once damaged, stereocilila don’t grow back. 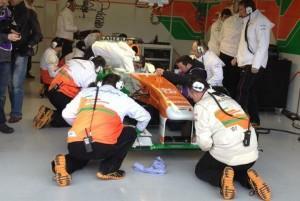 Kevin Davies, operations director at Minerva Hearing Protection in Cardiff, Wales, says his company’s custom hearing protection devices built with 3D printing technology have been used for everything from providing protection for the pit crews on the F1 circuit to musicians on stage. The products are custom molded to an individual’s ear canal to completely eliminate external sounds, and they’re formed in 3D printed hard acrylic. The earplugs feature tiny, built-in acoustic filters which take into account the natural response of the ear. The devices are made from a soft, medically-approved silicone, and they can also be made from a firmer acrylic material which can be plated in silver, gold, or titanium. The production process begins with a technician making an impression of a client’s outer ear canal, and then pouring in liquid silicon. The resulting molds are then digitized for input into a 3D printer, and the company says it produces more than 4,000 ear pieces per week. Davies says 3D printing technology has advanced well beyond simply the ability to produce prototypes. The company has produced more than one million 3D printed products at their Cardiff manufacturing center. Minerva was one of the first companies to embrace additive manufacturing as a commercial proposition, and Davies says they acquired their first 3D printer in 2004 “at a cost in excess of $150,000.” They also receivedMHRA approval for medical-grade resin they use to 3D manufacture the ear-pieces. 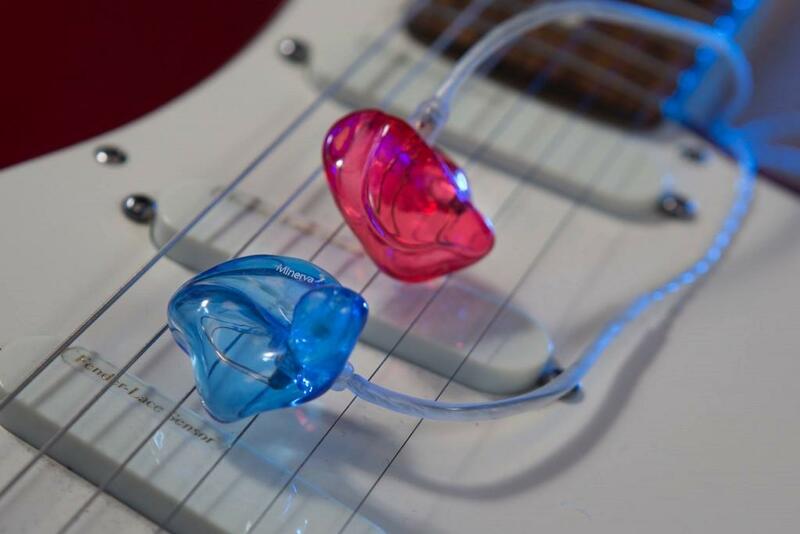 Davies says 3D printing technology has also helped Minerva produce over 8,000 variations of color and materials, and he adds that in-ear monitors and ear plugs are now laser-printed with logos, names, or images according to a customer’s preference. One night in June 2010, New York composer Richard Einhorn went to bed in a motel feeling stuffy and woke up almost completely deaf. At the time, Einhorn, who wrote the oratorio Voices of Light, had limited ways to deal with his nightmare condition, known as sudden sensorineural hearing loss. He visited an audiologist and bought a hearing aid for $3,000. (His insurance plan, like most, didn’t cover it). Unhappy with the expense and the limits of the earpiece’s technology, which struggled to adapt to different noise levels, Einhorn began searching for alternative gadgets that could restore more of his hearing for less money. Today, he has a backpack full of them. To supplement his old-school hearing aid, he favours a $350 iPhone-linked earpiece made by Sound World Solutions, a hearing-h ardware maker in Illinois, for whom he’s begun to consult. With the Sound World device on, he can amplify phone calls and streaming music as well as his surroundings. A third, $500 earpiece was custom-made by Ultimate Ears in California, to help him detect a wider range of musical tones while composing. For restaurants and theatres, he has a $45 directional microphone that pairs with a $5 app to isolate desired voices. And for especially cacophonous places, he has spare $700 microphones, made by Etymotic Research in Illinois, that he can strap to companions. Einhorn credits the audio patchwork with saving his career and his life. “It’s incredible”, he says over lunch in a busy restaurant, as he toggles the proper setting on his phone. The Bluetooth-connected earpieces aren’t classified as hearing aids by the US Food and Drug Administration. They’re called personal sound amplification products, or PSAPs. Basic versions of such devices have existed for more than a decade in lonely RadioShack aisles and a handful of other places. But in the past 18 months, advances in circuitry and low-energy Bluetooth transmission have helped developers radically improve the designs to make high-quality, long-lasting alternatives to hearing aids while keeping prices at a fraction of the industry standard. Part of the reason PSAPs are cheap is that they’re unregulated. Hearing aid fittings and audiological calibrations account for much of the cost of aids from the big six makers—Siemens, Sonova, Starkey Hearing Technologies, William Demant, GN ReSound, and Widex. A midlevel pair that retails for $4,400 costs about $440 to manufacture, according to AARP. Research and development spending is also a factor: Unlike the free Bluetooth standard used by upstarts such as Sound World, oldschool hearing aids run on proprietary signal processing and transmission technology. Siemens, Sonova, and Widex declined to comment; GN ReSound, Starkey, and William Demant didn’t respond to requests for comment. Still, being kept out of doctors’ offices has been a huge problem for PSAP makers, says Venkat Rajan, who tracks medical devices for researcher Frost Sullivan. While the size of the market can be difficult to gauge given the lack of regulation, anecdotal evidence suggests sales have been soft, he says. It doesn’t help that, according to industry journal the Hearing Review, the average American buying a hearing aid is 71 years old. “Trying to find that customer base has been difficult,” Rajan says. The origin of this article can be found here, why are hearing aids so expensive, it is a old technology! In 2011 10 million people had hearing loss and it’s expected that 14 and a half people will be suffering. This is a market that is being exploited. Are you working in a very noisy environment? Do you find yourself under very loud working conditions? Then, you definitely need the best Ear Defender in order to keep your hearing system unaffected by the surrounding noise. People can get short of hearing and even deafness if they work in noisy work conditions for long and even short terms. Thus, using a hearing protection aid is a must for them. If you are a professional music player, you need to fit electronic devices like Apple iPod or MP3 style players with your ears. The noises from these headphones can damage your ears and your hearing power can be reduced. Thus, you need to use the noise reducing headphones for these purposes. These types of devices are also known as the ear defenders, How Do Ear Defenders Work? This can be a first question in your mind. How the Ear Defenders Work? The noise reducing or noise cancelling headphone ear defenders work in two major ways. The first one is that these are usually designed to perfectly fit over the years with a thickly padded outer layer. This layer acts as a physical barrier and blocks the high noise frequencies very effectively of the surrounding environment. These types of headphones are a bit bulky but these are highly effective ear defenders. These headphones are also commonly used in the noisy construction industries and perform very well. This device leaves the low frequency noises and these get away through the physical barrier portion of the noise reducing headphone. There is a very small microphone inside the headphone that pocks up the unwanted noise or sound. The highly advanced electronic circuits inside the headphones turn the sound wave into an opposite sound wave and play it back along with the music you are currently listening. The 2 sound waves of the external noise function to eliminate one another. Because of these two technologies the passive high frequency barrier and the active lower frequency noise cancelling technology and the noise reducing headphones are the ideal for using in noisy environments of any type like offices, train plane journeys, etc. These devices cut off all the unwanted background noises which may disturb you. Even if you want to listen to music peacefully you can only listen to the music by cutting of the unwanted surrounding noises with the help of the noise cutting headphones. These devices also work effectively while you are talking with someone on your mobile phone and the call is disrupted by unwanted surrounding noises. How to protect your years? The sounds are all turned into electrical signals that finally reach your brains. The tiny hairs of your cochlea pick up the sound vibrations. These hairs can get damaged if the sound vibrations are too high. The inner ear damages cannot be reversed. Noise in the factories is one of the biggest sources of severe hearing losses. Thus, the workers in the factories, who have to work for long hours face serious hearing problems. They must use the most technically advanced ear defender for protection during the working hours. The police radio earpiece is available in 3 different sizes – small size, medium size and large size. You have to buy the one according to the shape and size of your ear. Otherwise you may face some problems and the earpiece will either come out because it is loose or it will not fit for being smaller than your ears. So, choosing the right size is very much important. Second thing is that it comes in a pair for both right ear and left ear. But mainly policemen wear it in one ear so that they can focus on the other sounds and noises too. While we naturally think that we hear with our ears, it is really the brain that converts sound waves into what we perceive as sound. Our most distinctive organ also has a lot of plasticity, being able to adapt its regions to perform tasks normally not assigned to them. Blind people, for example, often have the part of the brain responsible for vision working to more precisely interpret audio and create a better mental picture of what’s around. This principle is what led researchers at Colorado State University to attempt to use the tongue as a medium for passing sound to the brain in deaf people. The researchers developed a flat shaped neurostimulator with a bunch of electrodes in a grid at one end. It’s connected wirelessly via Bluetooth to an earpiece that captures sound. The system processes the audio signals received by the earpiece and converts them into electrical pulses that are delivered through the stimulator. The user simply presses his tongue against the electrodes on the mouthpiece and feels tingling or vibration. The idea is that this sensation, really sound interpreted another way, can be translated by the brain into perceived audio if given proper training. There’s much work to be done to prove the technology and make it practical. Currently, the researchers are mapping out the tongue’s nerves and studying how volunteers respond to the electrical stimulation. They’re trying to figure out whether the device will work uniformly for all people or whether it will need to be individually customized. The researchers hope that this technology will become a new option competing with cochlear implants and that it may help overcome hearing loss for a wide variety of people.